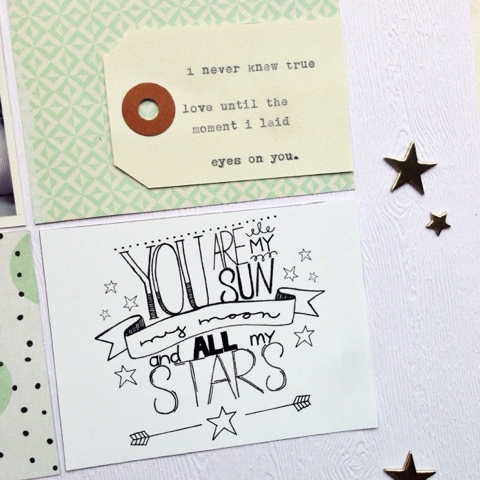 There is a free printable feature on the Paper Issues blog today. Hop on over to check out the amazing projects the other design team ladies made. I used one of the June printabltes to make a layout using a photo of my son and I when he was only two days old. I love typing my journaling on shipping tags. I have extremely messy handwriting, so when I want to go for a more 'clean' look, I just use one of my trusty typewriters. I really adore the Amy Tangerine phrase Thickers from her new line, Rise and Shine. The gold foil is just perfect and I love the font for the cursive. The Thickers also went perfectly with the gold Studio Calico starts from their Essentials line. I completely forgot I had these and don't think I have used them yet at all. 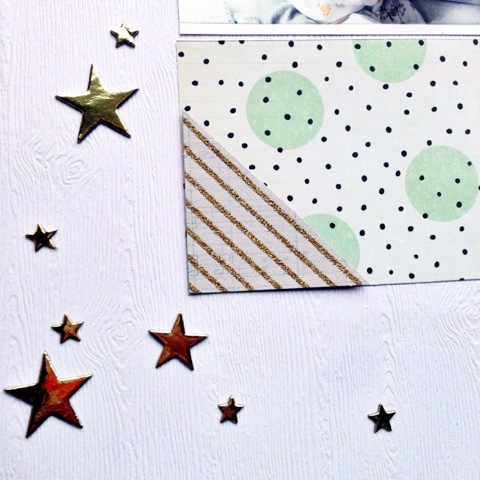 That is really surprising since I use any excuse to put stars on any layout. 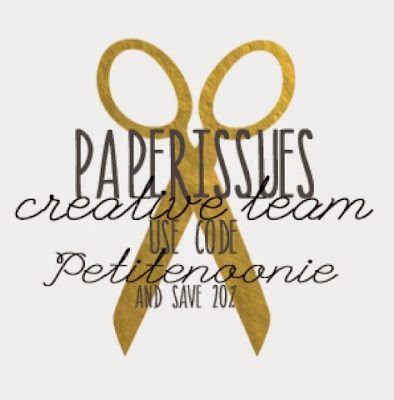 All of the printables and cut files in the Paper Issues shop are free! New ones are added each month too and they are really awesome. 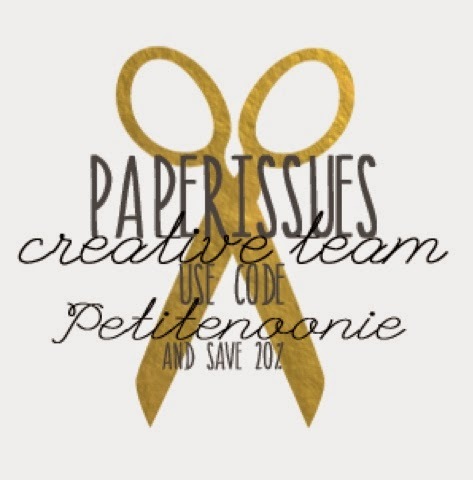 You can also use my code 'petitenoonie' to get 20% off anything in the store that isn't free. Thanks for stopping by today and happy scrapping!